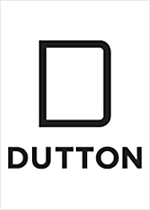 Dutton Books began life in 1852, as so many other presses have, when a bookseller decided to jump over the fence as it were and begin publishing. E.P. Dutton grew and expanded into religious publishing, and purchased the "Everyman's Library" series from British publisher J.M. Dent in 1906. Throughout most of the twentieth century Dutton thrived, and was purchased in 1986 by Penguin. Today, Dutton is an imprint within the Penguin Group USA family.